If you think that the latest Taxi Applications are awesome, wait until you watch the newest cab craze in town, Cash Cab! The show premiered last December 22 and continues to bring unexpected excitement to commuters with lucky passengers in the city unwittingly ride the coolest cab in town and become instant game contestants. Somewhere in the hustle and bustle of grueling city traffic, an unassuming white taxi roams the streets to pick a random passenger. But instead of heading straight to the intended destination, the trip suddenly turns into a one of a kind ride as he is asked a series of general trivia. Correct answers mean instant cash, while getting them wrong gets you thrown out back in the street! Originally launched in the United States, this show has also invaded the roads of Vietnam, United Kingdom, Ukraine, Thailand, Taiwan, Sweden, Spain, Slovakia, Serbia, Poland, Netherlands, Israel, Japan, Kazakhstan, Jamaica, Italy, Malaysia, Lithuania, Indonesia, India, Hungary, Greece, Egypt, Germany, Denmark, France, Czech Republic, Colombia, Chile, China, Austria, Canada, Brazil, Belgium, Australia and the Arab World. 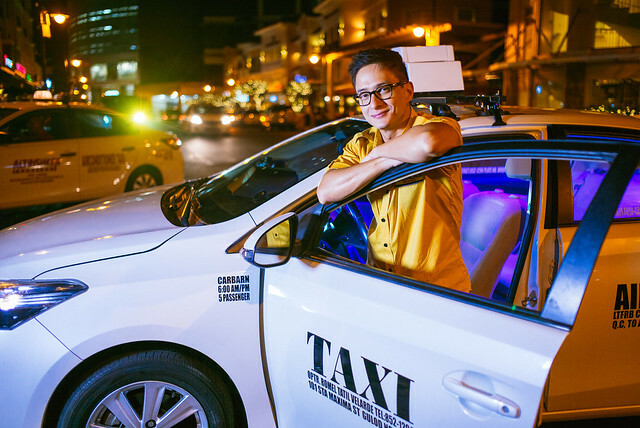 Hosted by local celebrity Ryan Agoncillo, Cash Cab Philippines airs new episodes starting January 7, 2016. 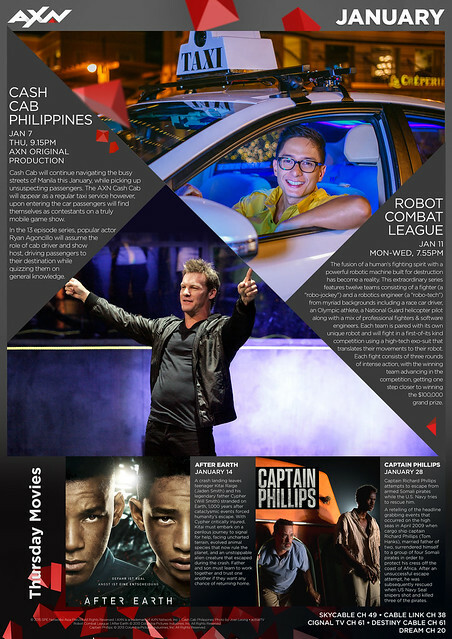 Cash Cab Philippines’ new episodes air starting January 7, Thursday at 9.15pm on AXN. AXN offers viewers a thrilling ride with an exciting slate of programs designed to exhilarate and help them escape the humdrum of daily routine. The leading English general entertainment destination among upscale, affluent adults aged 18-39, the channel delivers first run, exclusive top-rated drama series, blockbuster features, adventure and competitive reality programs from around the world, as well as made-in-Asia original productions. Launched first in Asia in 1997, AXN has become an international channel brand that is now seen globally including in Latin America and Europe. In Asia, the channel is now watched by 164 million viewers in 20 territories. AXN ASIA is wholly owned by Sony Pictures Entertainment and managed by Sony Pictures Television’s networks, Asia, which also operates pay-TV channels beTV, Animax, Sony Entertainment Television, ONE and GEM.